Good People, Bad Managers (2017) argues that the culture of the modern American workplace is perpetuating bad management without our being aware of it. The current management culture of self-preservation leads to behavior that actively harms well-being, productivity and motivation. 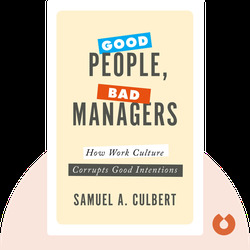 Culbert explores why so many good people are trapped in the cycle of bad management, and makes a case for cultural change in our workplaces. Samuel A. Culbert is an author, researcher and professor at UCLA’s Anderson School of Management. 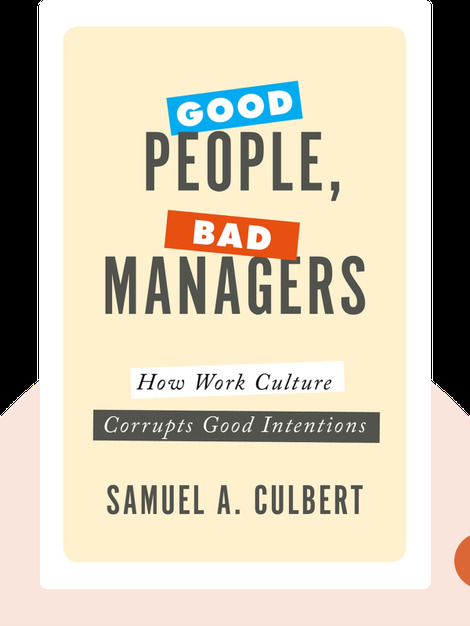 Culbert is also the author of Get Rid of the Performance Review!, Beyond Bullsh*t and Radical Management.